Ergonomics in the workplace matter. We now know this. It is widely acknowledged that for peak performance, reduced sick days and injuries, companies must embrace their responsibility to provide a workplace that optimises staff health and safety. A functional layout, correct positioning of furniture and accessories are not only important to address. It is critical. We have the full range of quality ergonomic solutions including Sit Stand desks, active seating, ergonomic chairs and ergonomic accessories, and we have the experience and product knowledge to help you find the best options for YOU. Solutions can be customised to meet your situation and your budget. For example, if it is apparent that Sit Stand desking would benefit your workplace, it may be possible to have one or two Sit Stand hot desks that can be shared. There are also Sit Stand Risers which can simply sit on an existing desktop. Get these ergonomic matters sorted today. 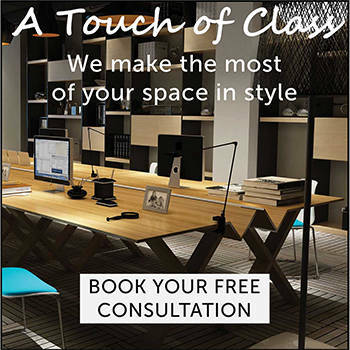 Book your obligation free consultation today, so you can get your office operating as smoothly as possible.